Two decades ago, the Cubans discovered a powerful nutrient from the sugar cane plant. This nutrient was a huge breakthrough for lowering cholesterol. Today, even many conventional doctors are convinced it works. But, what if lowering cholesterol wasn’t the best attribute of this nutrient. After all, you probably know that cholesterol isn’t the boogeyman everyone says it is. So what if this nutrient could also lower your blood pressure and even revive your sexual function? Well, not only does it work – it works incredibly well for both. Let me tell you what I told Mark. I was talking to Mark the other day about his cholesterol. His doctor was terribly worried about his cholesterol because his total level was around 230. He desperately wanted to see him lower his level to under 200. His doctor, of course, put him on a statin. Mark didn’t realize that these drugs block your body’s production of cholesterol, raise HDL, and lower LDL. Some of them work quite well. But they have side effects. They can cause liver toxicity, dizziness, nausea, headaches, constipation, diarrhea, fatigue, blurred vision, heartburn, abdominal pain, and insomnia. Some statins actually raise LDL levels in people whose LDL is already high. And they can cause serious muscles problems in some people. Statins also lower your body’s level of coenzyme Q10 (CoQ10). CoQ10 is a nutrient found in all cells with the largest concentration in your heart. Low CoQ10 levels frequently lead to congestive heart failure. One study revealed that 75% of people with heart disease have low levels of CoQ10 and supplementation improved their condition. If you still choose to take a statin, be sure to take at least 100-200 mg of CoQ10 daily! He also told me his HDL is really too low. So I told him I could recommend an excellent alternative to statins that would probably accomplish all that his doctor wanted. Plus it might even lower his blood pressure and fix his ED. The reason it works for all of these is that in addition to lowering overall cholesterol, it does something much more important. It also keeps cholesterol from oxidizing and becoming a threat to your blood vessels. And if your total cholesterol is ranging from 200 upward, lowering it reduces the impact of oxidative damage. If you can lower your total cholesterol by natural means, it has plenty of merit in a healthy lifestyle. In doses of just five mg twice daily, policosanol significantly lowered total cholesterol by 16% and the very dangerous low-density (LDL-C) form of cholesterol by 22%. (LDL-C is the form of cholesterol most subject to the dangerous oxidation.) It lowered triglycerides by 16%. Beneficial high-density cholesterol (HDL-C) went up 14% and results were maintained for over a year or more! Few therapies of any kind (other than regular exercise) are known to reliably raise the protective HDL-C levels for that long. But, if these figures do not impress you, just look at those figures in comparison to one of the leading statin drugs, Lovastatin. At 20 mg per day, Lovastatin lowered LDL-C by 27%, total cholesterol by 20%, but had no effect on HDL-C! Policosanol also was superior to Probucol (500 mg twice daily) in type-2 diabetics in these same lab parameters. It tested equivalent in lipid improvement to Simvistatin (10 mg) in the elderly and was superior to Pravastatin (10 mg). In patients who had diabetes, policosanol lowered total cholesterol by 29% and LDL-C by 44%! But that’s not all the Cubans discovered with policosanol. In patients with cerebral brain blood-flow disturbances, improvements in functional Doppler ultrasound blood-flow measurements were noted. Twenty-two patients with cerebral flow disturbances taking five mg of policosanol twice daily were compared to 11 taking a placebo. Although the results were not statistically significant in the small study, policosanol seemed to actually improve the obstructed flow in the treated group. Statin drugs are touted as an effective means to prevent arterial endothelial cell damage. A study in rabbits concluded that policosanol is superior to Lovastatin in protection of these critical cells. And if the effects on cholesterol and endothelial cells are not good enough, 10 mg of policosanol reduced platelet aggregation (clotting tendencies) as well as 100 mg of aspirin. Of course, the aspirin group suffered with aspirins usual toxic effects, while there was no such problem in the policosanol group. Platelet aggregation is a known contributor to atherosclerosis. Another animal study confirms the ability of policosanol to reduce clot mass even once the clot has already developed. Regarding toxicity, the Cubans did conduct exhaustive studies of policosanol in animals. These studies far exceeded studies required for FDA-approved drugs, which usually are limited to only one generation and possibly to observation for birth defects in the next generation. Throughout three successive generations of rats fed policosanol, up to an equivalent adult human dose of 35,000 mg per day by stomach tube, no deleterious effects were noted in fertility, reproductive performance, or development. I don’t think I’ve ever seen such work done on any petrochemical drugs throughout three successive generations – and just consider the massive dose of policosanol that they found to be safe! You should have no concerns about the safety of policosanol! • Administration of just one mg of policosanol dropped total cholesterol by 16% in a group of 26 patients (mean age 73 years), over 24 weeks. 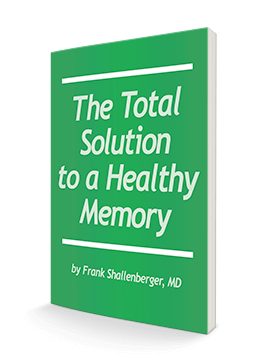 • Ten mg daily was only modestly more effective, lowering total cholesterol by 22%. • The placebo group, which received no supplement, saw its total cholesterol rise by 5% over the same period. • Over another half year, effectiveness of the supplement remained and there were no adverse effects reported at all! In order to assess adverse effects, the Cubans studied a population of nearly 28,000 patients taking policosanol for at least one month and followed them for two to four years. Only 86 patients (0.31%) reported any adverse effects, the most frequent being weight loss (and that’s almost always desirable!). But the news about policosanol doesn’t stop with cholesterol. The Cubans also looked to see if policosanol can effectively lower blood pressure in older patients. They said, “Policosanol significantly decreased systolic blood pressure.” They found that it even worked in people who were at high risk of cardiovascular events (such as a heart attack), and in the elderly. A more recent study, this one released early this year, looked at the “antihypertensive effect of policosanol on spontaneously hypertensive rats.” (SHR). To do the study, they divided the rats into five groups. The first group was the control, which consisted of non-hypertensive Wistar Kyoto rats. The second group consisted of hypertensive rats that ate a normal diet without any policosanol. The third group had hypertensive rats that ate 20 mg (per kg of body weight) of policosanol with their diet. And the fourth and fifth groups were hypertensive rats that ate 100 mg and 200 mg of policosanol respectively. After eight weeks, the control group saw no change. The second group saw its systolic and diastolic blood pressure go up by as much as 21%. The policosanol groups all saw their blood pressure go down. The size of the decrease was dependent on the size of the dose. The higher the dose, the better the result, with both systolic and diastolic blood pressure going down. The latter went down by as much as 17%. That’s very significant. But that’s not all. The researchers also saw the heart rate of the rats taking policosanol go down, with 20 mg being the optimal dose (a decrease of 36%). The 100 mg group had an average heart rate drop of 28%. And the 200 mg group showed a reduction of 34%. The researchers also saw triglyceride levels drop significantly in the 200 mg group. And HDL went up significantly in the rats that ate policosanol. What I was really excited to see was that policosanol also lowered C-reactive protein (CRP) levels in the 200 mg group. CRP is a measurement of inflammation in your body and is a good marker for heart attacks. So policosanol is doing a lot more than we ever knew. Whenever someone tells me they have erectile dysfunction (ED), the first three tests I suggest are cholesterol, blood pressure, and coronary calcium score. While cholesterol and high blood pressure can contribute to ED, it’s the third test that will really tell us what’s going on. The coronary calcium score is a test that shows how much calcium is in your coronary arteries. Since calcium collects in plaque, the coronary calcium test is a great way to easily, quickly, safely, and inexpensively estimate the amount of plaque in the coronary arteries. When plaque is building up in your blood vessels, it dramatically impacts your circulation. And this is where you’ll see ED become a problem. High cholesterol alone won’t usually cause ED. High blood pressure, likewise, isn’t always a sure cause. But a high coronary calcium score is a much more likely indicator of what’s causing the problem. This is where policosanol can really help. Policosanol has the ability to decrease the stickiness of particles in the blood known as platelets and in the plaque. This helps reduce the amount of plaque that’s building up in the arteries. But there’s more. Unlike the effects of many classes of drugs, this supplement had no detrimental effects on sexual function. American drug approval studies most often look at one target parameter such as suppression of the target symptom or change in laboratory value (cholesterol level). They ignore the total long-term effects comparing the benefit and the detriments of using the drug. The Cubans looked at the big picture and assessed policosanol’s impact on groups with multiple health concerns. In a study of over 6,000 patients followed over two to five years, policosanol was administered at doses from five to 15 mg per day. The population of patients included persons who suffered from hypertension, arthritis, asthma, ulcers, diabetes, and vascular disease. The untreated control group had more events requiring hospitalization and symptoms needing medical attention. The frequency of coronary events was three times greater in the control group than at the start of the study, whereas the policosanol-treated group saw no increase in coronary events. When we treat mild and moderate hypertension with drugs, the all-cause mortality rises, even though the blood pressure falls. This effect has not been seen with the use of policosanol. • Inhibits smooth muscle thickening of the arterial wall (a later step in atherosclerosis). Dosage effectiveness begins at a low 5 mg per day and increases up to 20 mg daily; higher doses than this can help certain conditions, but won’t do much more for lowering cholesterol. The results of treatment improve the longer policosanol is administered. Twenty mg once daily seems to be the best and most cost-effective dosage. If you or your friends have been misled into believing statin drugs are good because they lower cholesterol, this information should be most welcome news. Policosanol has shown equal or greater effectiveness in lowering cholesterol and its dangerous subgroups while raising levels of the beneficial HDL-C subgroup than statin drugs. It has demonstrated an unrivaled safety profile. Policosanol is what cardiologists should be touting for the “cholesterol problem.” And, believe me, they would be if the drug companies could patent it. But the pharmaceutical-medical industry never endorses a non-patentable, nutritional supplement that cannot make millions in profits for them. Profit drives the American medical paradigm. However, you don’t have to choose that path. I gladly steer my friends, like Mark, and my family away from drugs and toward the amazing natural healing tools like policosanol.